Video content is everywhere, and its importance for marketing constantly grows. According to statistics, 50% of Americans who use the internet watch online videos on a daily basis. Cisco expects video content to account for 82% of the overall web traffic by 2021. The popularity of video content is due to its convenience. Videos allow you to convey a lot of information within a limited time, they are easy to consume and more engaging than other types of marketing content. Videos are emotional. Therefore, they are not only interesting for viewers but they also enable companies to establish strong relationships with their audience. Marketers understand how many benefits video content offers for businesses, however, this sort of content is also associated with certain challenges. For example, it gets harder to organically include calls to action. The role of a call to action in video marketing is as important as in other types of digital marketing. It should connect your viewers’ experience and action, guiding them to the next step of the customer journey. People get marketing messages every day, from everywhere. As a result, they stop paying attention to advertisements and often experience decision fatigue. Calls to action provide your prospects with clear instructions on what they have to do next, eliminating confusion and making the user journey clear. While your video content creates excitement and intrigue, a CTA allows viewers to get closer to your brand, becoming customers. If you want to keep your audience engaged, you have to produce fresh content all the time. However, even high-quality content will be useless if it doesn’t have a particular purpose. A call to action in video marketing is aimed at making every piece of content meaningful, making it a part of your marketing plan. Another important purpose of CTAs is increasing your audience. “Click Like and subscribe to our channel,” “Follow us on Facebook,” and other CTAs of this kind are as important as more strong CTAs, such as “Submit payment.” However, you should also be able to use CTAs in a way that will not distract your viewers or be annoying. Fortunately, video platforms allow you to use different kinds of CTAs. For example, a viral video by Coldplay and the cast of Game of Thrones includes a textual call to action at the very beginning, urging viewers to donate to Red Nose Day Charity. When the video ends, viewers also hear a CTA and see a clickable button that leads them to a donation page. According to statistics, one minute long videos have a bounce rate of 20%, while that of 2-3 minute long videos is 40%. If you see that many viewers stop watching your videos even before they see a CTA, placing it at the beginning of the video is a great solution. This way, even those who don’t want to watch the whole video will more likely click on your CTA so that your video can serve its purpose. 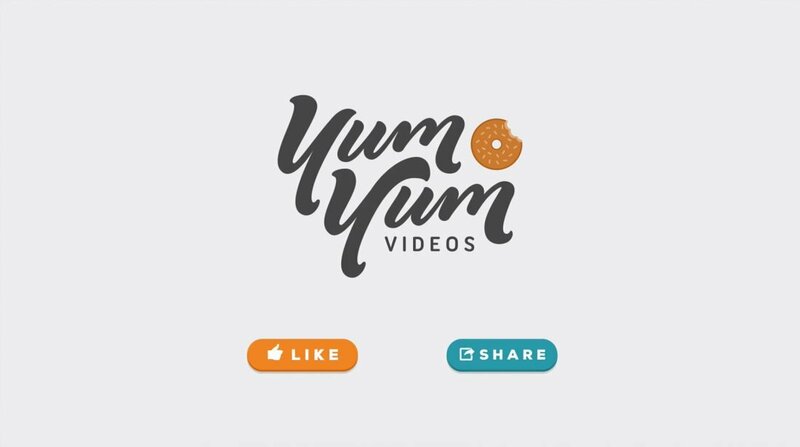 The video format allows you to experiment with various types of calls to action and to combine them in order to increase the effectiveness of your video. You can include visual CTAs along with verbal CTAs. Clickable elements are especially good, and platforms like YouTube, Vimeo, or Wistia offer a number of tools that allow you to create various clickable elements. A sense of urgency is a very effective tool for marketers of any kind. If your viewers feel that their action is not needed here and now, they will likely just forget about it. On the other hand, it’s important not to be too pushy. Ask your readers to subscribe/call/sign up now, and show such a CTA at the right moment. In addition, motivate your audience to take action now by briefly explaining how they can benefit from doing what you’re asking for, or why it’s so important. 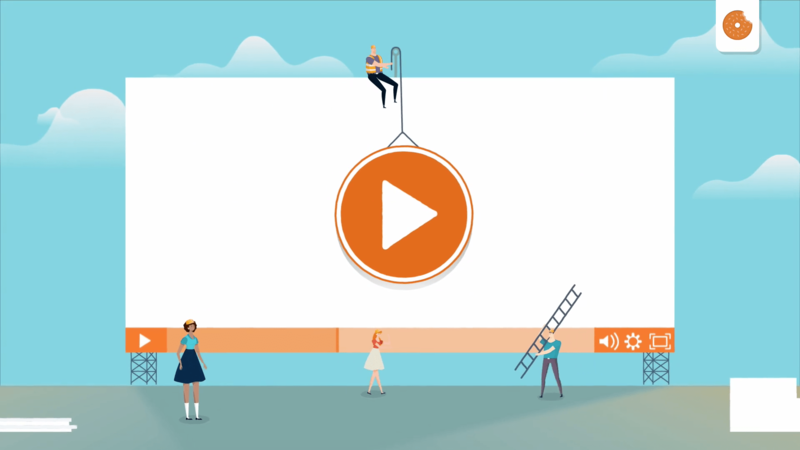 Sometimes, you may not want to distract your viewers with pop-up calls to action, especially if your video contains infographics or already includes many visual elements that require your audience to pay attention to details. You may also want to save more space for some meaningful content instead of including an end screen. Fortunately, many people read descriptions before they watch a video or even after it. Use descriptions to your advantage and encourage your viewers to take the necessary action. Many of your viewers will likely watch your video on a phone or tablet, in fact, 50% of users prefer watching videos on mobile devices. It means that you have to adapt your CTAs for an on-the-go audience. If you ask such viewers to go through a complex sign-up process or to make a phone call, they won’t do it, especially if they are multitasking. 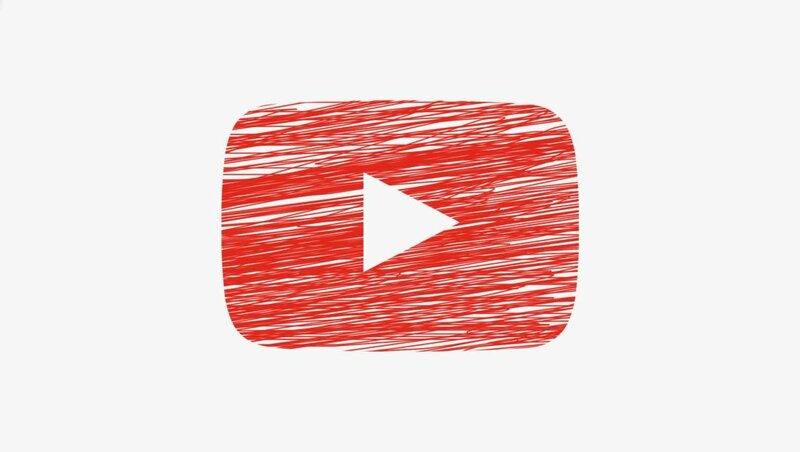 A call to action in video marketing can have various purposes, so don’t forget that you can also ask your audience to subscribe to your channel or to share the video with their friends on social media — such an action is much simpler and won’t take a lot of time. If you’re going to use your video on different platforms, we recommend that you create different CTAs which stand out and are easy to click. For example, you can use a description CTA on your website and various pop-up elements on video platforms like YouTube. You can also customize annotations for different purposes. There are many tools that allow marketers to make their video ads interactive and more engaging. Such tools can help you tailor your videos to different marketing goals with no need to create a new video for every specific call to action. For example, YouTube offers Cards that can demonstrate a service or product within a video or promote other videos in order to increase engagement. On this platform, you can also create end screens. TrueView ads allow you to link a Merchant Center account and show details about your products. TrueView also enables you to add a CTA overlay or a headline overlay to lead your viewers to your website. Another feature of such video ads is end-screens that are generated automatically, providing your audience with a necessary CTA. A call to action in video marketing allows you to make your marketing strategy more effective, explaining what your viewers should do if they like your video and so eliminating confusion. Properly chosen CTAs allow for creating consistent marketing content that will guide your prospects through every step of the customer journey, increasing engagement and expanding your reach. We recommend that you use different kinds of CTAs, integrating them into your videos naturally and tailoring your messages to various purposes. Calls to action are crucial for every marketing campaign, so don’t be afraid to use various CTA-tools offered by video platforms, making your viewers’ experience more meaningful. Author Bio: Ester Brierley is a QA Engineer and a seasoned content creator. She knows the secret for balancing freelancing as a virtual assistant for College-Writers and her full-time job in a software outsourcing company. Follow her on Twitter @esterbrierley.